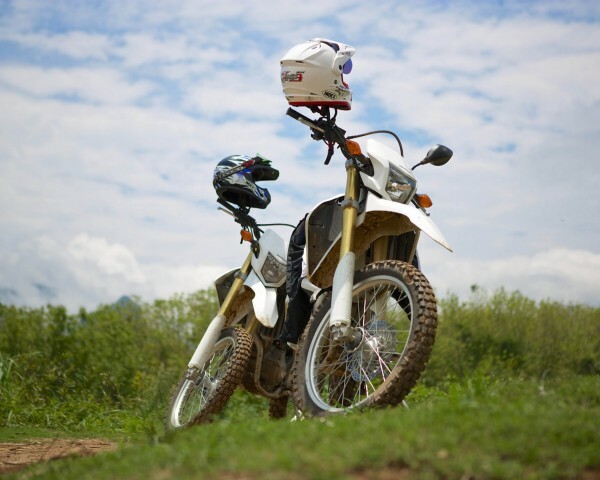 Your motorcycle tour will begin in Luang Prabang before crossing the Mekong by ferry. You will immediately be greeted by a long stretch of winding dirt roads in the Lao countryside with mountains in all directions. At various local villages along the way, you will be able to meet both Khmu and Hmong ethnic groups. Laos is an extremely diverse country with 49 different ethnic groups. You may even pick up a few words in their distinctive languages. 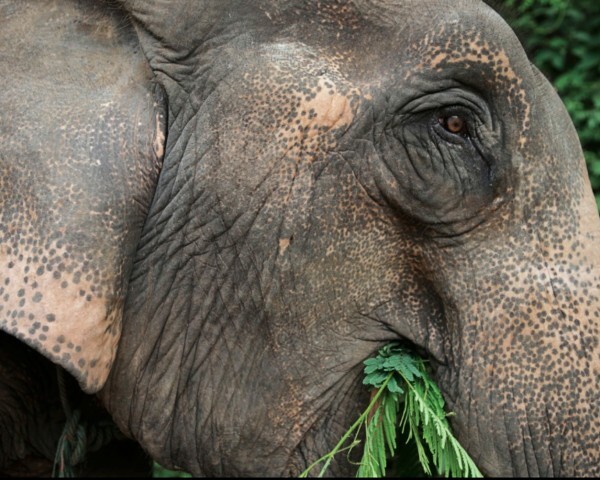 After you enjoying a traditional Lao meal in one of the local villages, you will journey back through Luang Prabang on your way to an elephant camp near the Nam Khan River. 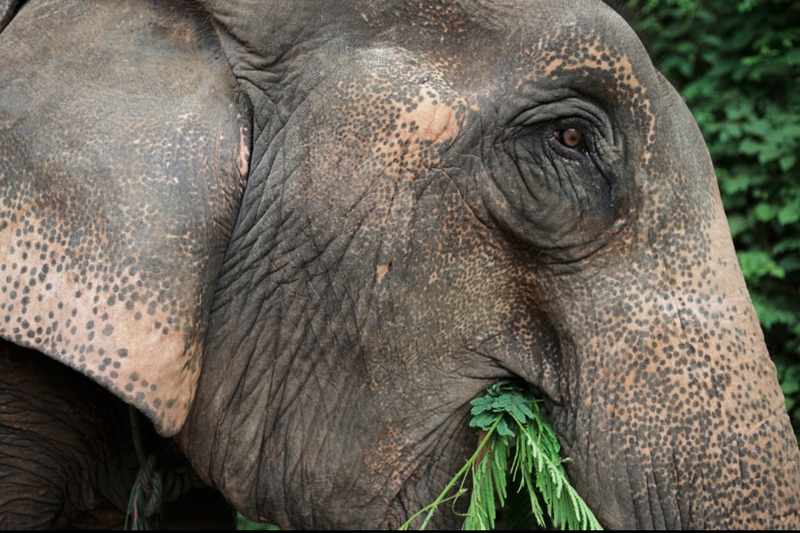 At the elephant camp, you will be able to ride, bathe, feed, and befriend these big elephants! 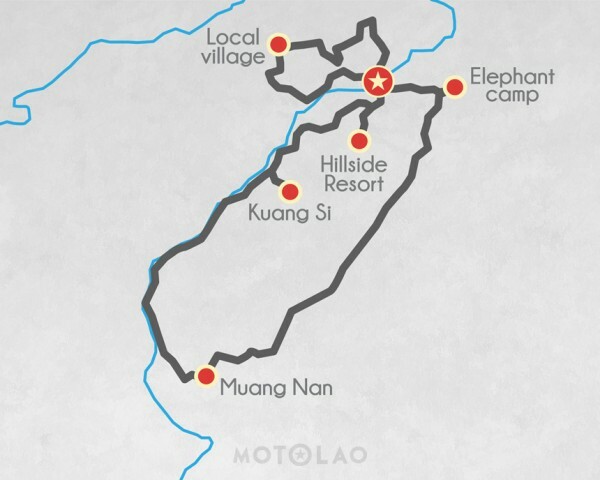 In the afternoon you will head to the Hillside Resort up in the Xiengmuark hills right outside of Luang Prabang. This is a private retreat amid a lush, tropical jungle. 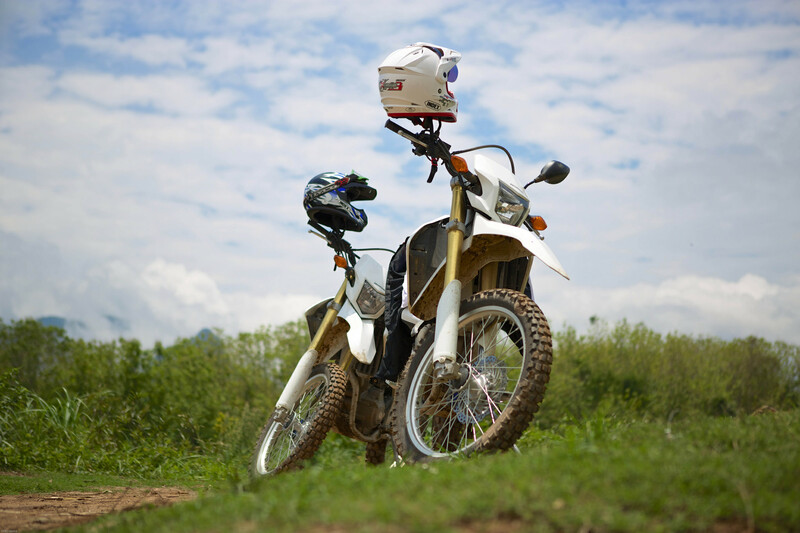 After you wake up the next morning, you will ride out from the resort through stunning, Lao landscapes. There will be a stop at the refreshing Kacham Waterfall before you will arrive in Muang Nan. Here you will interact and meet Khmu and Lao Lom while having traditional Lao cuisine prepared right before your eyes. 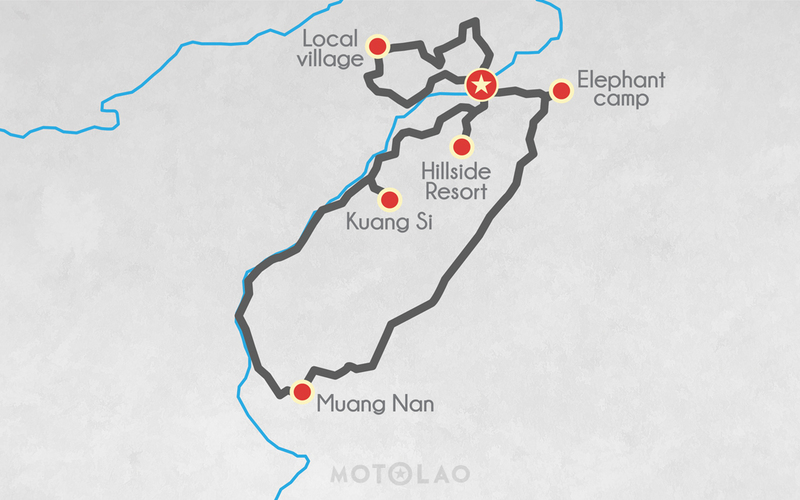 You will head back on your motorcycle to Luang Prabang along dusty roads, with a stop at the famous Kuang Si Waterfall. This waterfall is one of the most famous in the entire province, and should not be missed on your journey in Laos. You will also learn about the endangered Asian bears at the Free the Bears rescue center next to the waterfall. Your two-day journey concludes once you arrive back in Luang Prabang.